From fast food cooks to concierges at restaurants and hotels, robotsare slowly infiltrating the workforce in nearly every industry. Most recently, the world welcomed its first operational robot policeman. 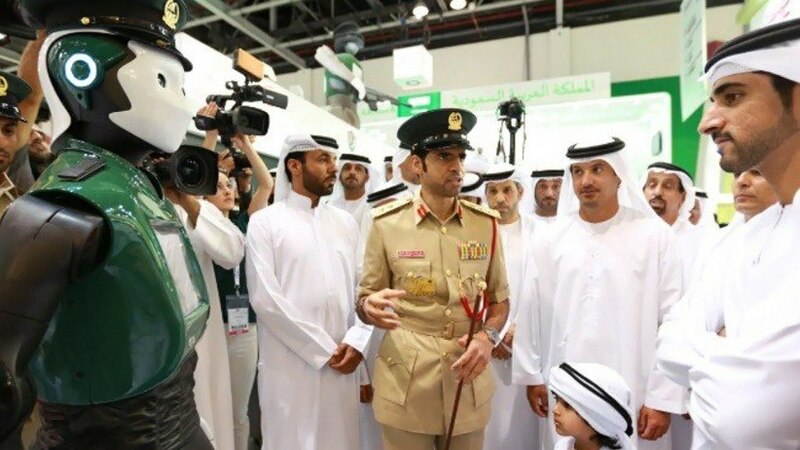 “Robocop,” the newest member of the Dubai police force, debuted on May 22 at the Fourth Gulf Information Security Expo and Conference, where it greeted guests. At approximately 70 inches tall and weighing nearly 220 pounds, Robocop seeks to engage with city residents and tourists. Featuring an “emotion detector,” the robot can recognize a person’s gestures and body language from nearly five feet away. Robocop’s skills don’t stop there -- the emotionally intelligent bot can detect if a person is happy, sad and even angry by studying his or her facial expression. And just like your human friends would do, if Robocop sees you’re unhappy, it will try to lift your spirits. More importantly, when it comes to fighting crime, the robot uses the internet of things, artificial intelligence and other smart technologies to spot offenders using facial recognition. Its navigation skills grant it the ability to map out areas and travel on its own. Equipped with a built-in tablet, Robocop can communicate with people, speak six languages, respond to public queries, shake hands and even military salute. "With an aim to assist and help people in the malls or on the streets,"said Brigadier-General Khalid Nasser Al Razzouqi, director-general of smart services at Dubai Police, "the Robocop is the latest smart addition to the force and has been designed to help us fight crime, keep the city safe and improve happiness levels."